The mantra behind the grandfather of all hot-hatchbacks has long since been that big things come in small packages. Now on its 7th generation, the 2015+ Golf TSI/GTI/R’s and its intercooling system are about to receive a much-needed overhaul with the Mishimoto Performance Intercooler Kit. The stock system can be best described as the meat in an intercooler sandwich. 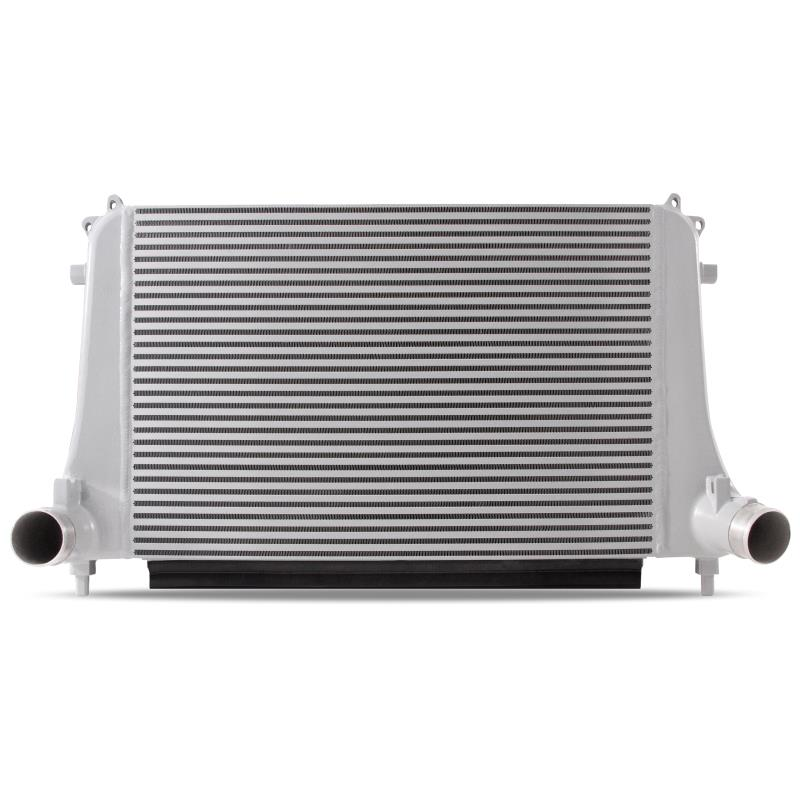 It’s no wonder with it placed directly between the radiator and AC condenser that this tube-and-fin constructed intercooler has trouble keeping up. Where this lighter core coupled with plastic end tanks might be suited for mass production and tame street driving, it will struggle to keep your intake air temperatures down under more intense driving, especially after the boost is turned up. 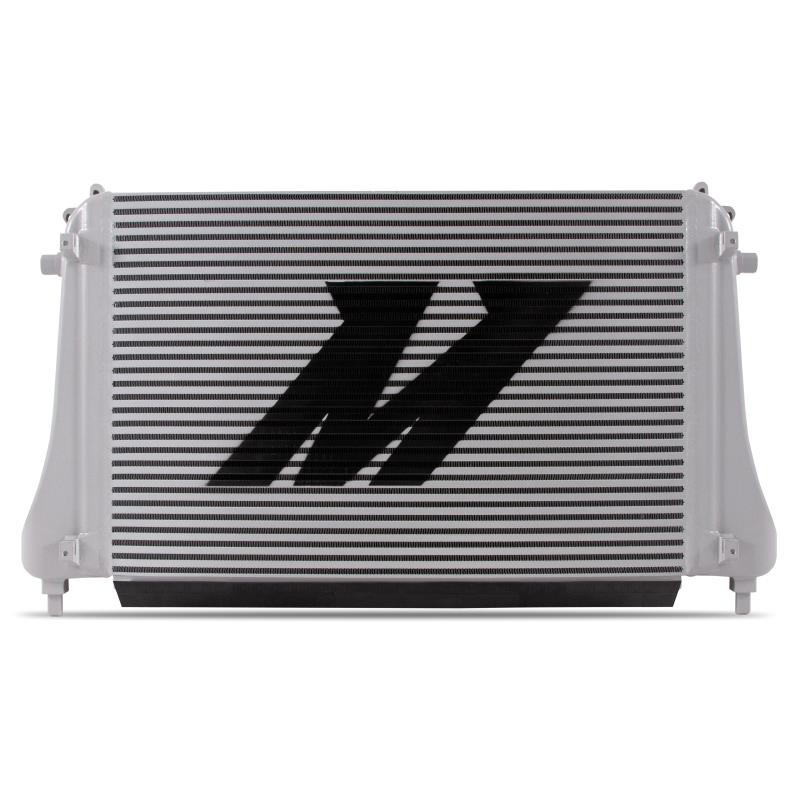 The Mishimoto 2015+ Volkswagen MK7 Golf TSI/GTI/R Performance Intercooler, armed with an arsenal of cooling technology, takes the place of the stock intercooler. Our engineers were able to squeeze in a larger core, increasing the overall volume by 89% over stock and bumping up the external fin surface area by 162%. 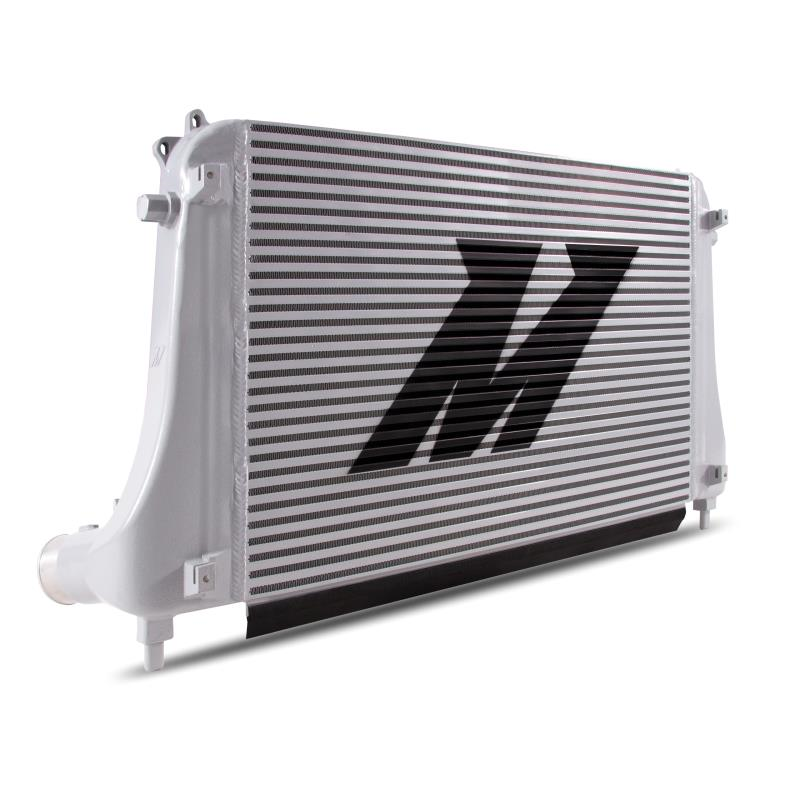 On top of the larger core, our all-aluminum, TIG-welded intercooler features a more robust bar-and-plate construction for better heat dissipation characteristics. In addition, the cast aluminum end tanks are integrated with airflow diverters to ensure use of the full core. When combined, our innovations for the MK7 intercooling system yielded max power gains of 14 whp and 12 wtq on the stock tuning. 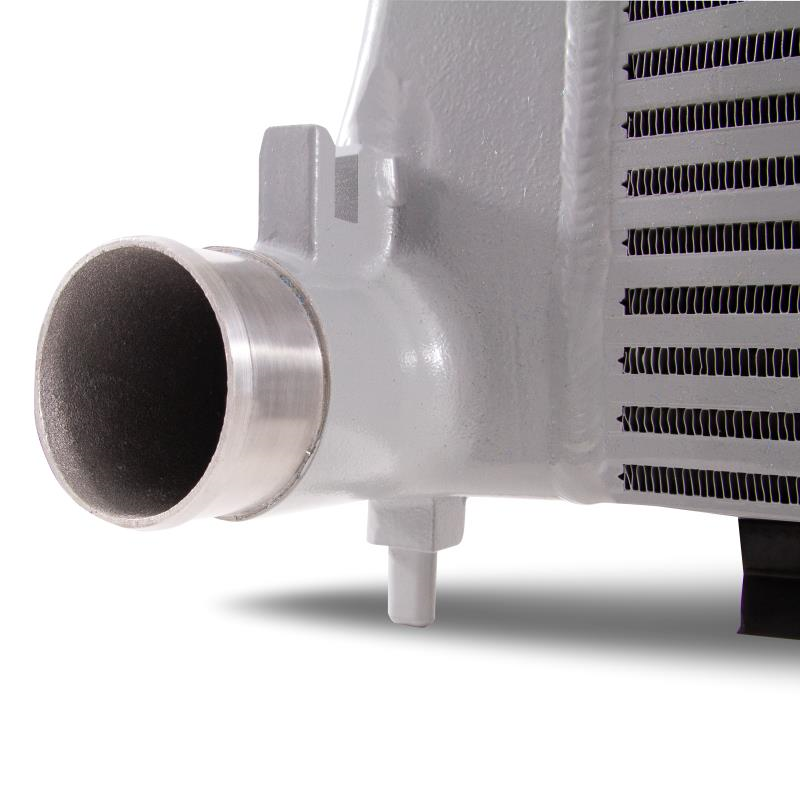 In addition, our charged air cooler dropped intercooler outlet temperatures by 23°F over stock equipment. 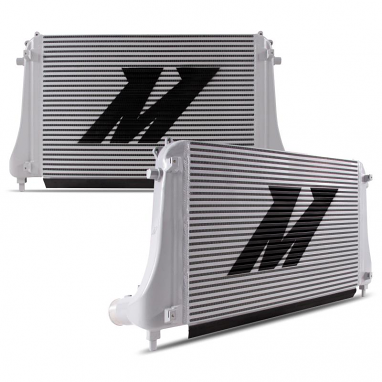 Our 2015+ Volkswagen MK7 Golf TSI/GTI/R Performance Intercooler also includes a pair of CNC-machined aluminum mounting brackets and the Mishimoto Lifetime Warranty for a precise and worry-free installation. Installation Torque Specs - 27 in-lbs (3N*M) recommended for all t-bolt and constant tension t-bolt clamps. 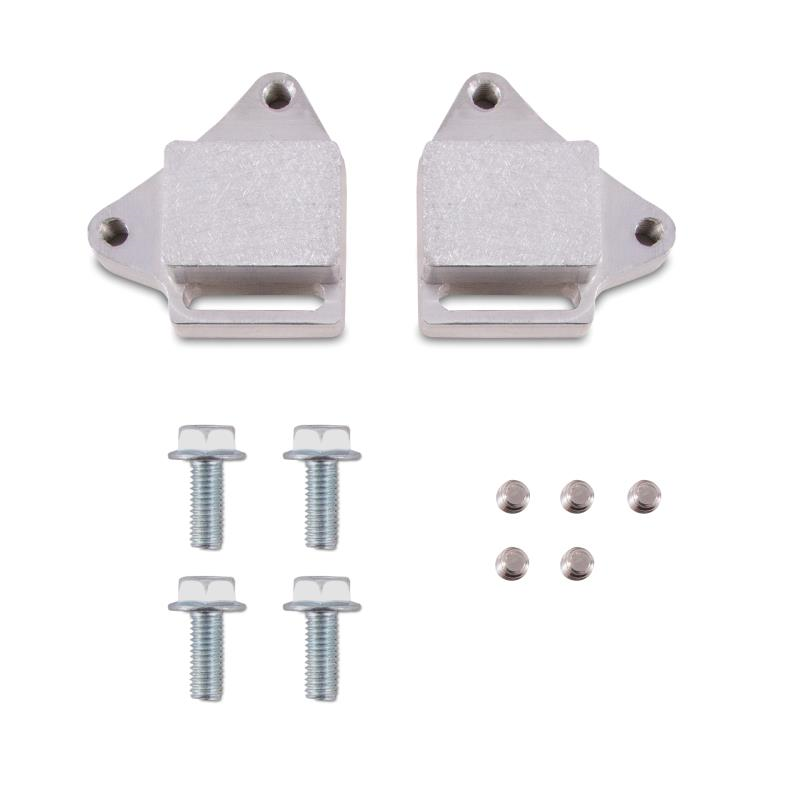 These clamps have an operating range of 18-35 in-lbs (2-4N*M). Do not exceed the maximum torque rating of 35 in-lbs (4N*M). Core Size 24.4" x 16" x 2.2"